Great news, now you can take the mighty Chewbacca with you wherever you go with Pocket Chewbacca!! Never be alone at night again, because now you can take a wookie with you wherever you go, with Pocket Chewbacca! 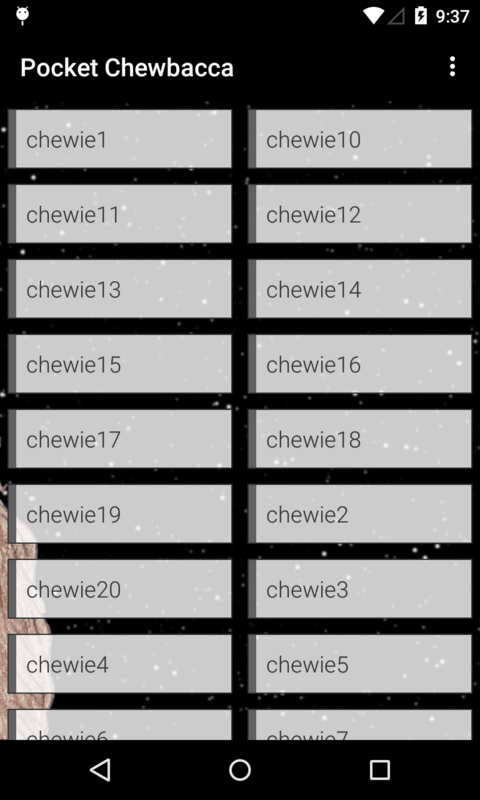 Nobody will ever mess with you again when you have Chewie on board! 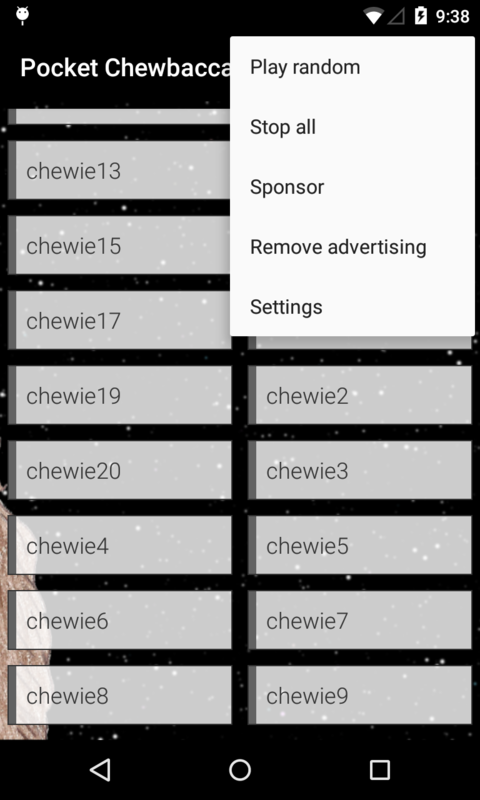 Pocket Chewbacca is completely free, but it is supported by in-app advertising. 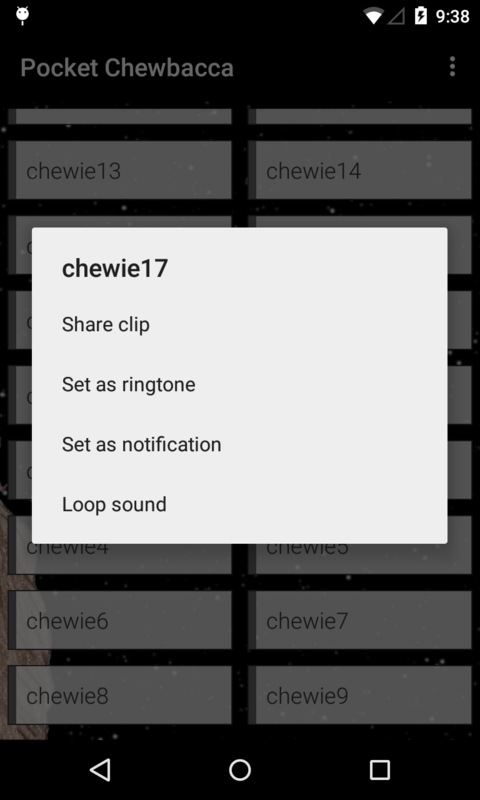 Premium upgrade options are available on all major platforms, but if you purchase a license key directly from Ape Apps, you will recieve a license key file which unlocks the upgraded version of Pocket Chewbacca on all platforms! Click Here for more info.